Do you remember those complicated little Rubik’s block that we would sit there trying to figure out for what seems like hours? Did any of you guys/girls ever solve them? Maybe all it takes for us to solve the “cube” would be for us to see what it’s all about. While there are many mesmerizing toys that are about to emerge into our world, today, we would like to take a close look at the Rubik’s Build It, Solve It, because we believe this is the one-way ticket to finally solving the cube! What is Rubik’s Build It, Solve it? Rubik’s Build It, Solve is like the traditional Rubik’s cube, but with a twist. This cube comes with all of the tools, pieces and instructions children need in order to build a Rubik’s Cube of their own. Once this cube has been put together, there’s an instruction booklet (it’s 10-pages in length) that will guide you through the process of solving the Rubik’s Cube (finally). Here, you will learn everything from identifying the parts of the cube to solving basic puzzles. 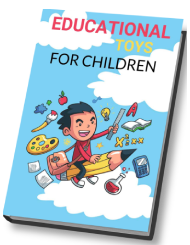 With this toy, children will be given a slow and steady introduction on how to use the cube and progress to harder challenges. Is This Rubik’s Cube Fun? Okay, we’re going to be honest with you – you know how aggravating the traditional Rubik’s Cube is, correct? If you’ve ever tried to solve one, you probably know exactly what we’re talking about here. Yes, this kit offers a behind-the-scenes look and even comes with a 10-page instruction manual, but this doesn’t necessarily mean you will be solving the puzzle like a professional within seconds. Even in the book, during the first step, you’re told that you will need to practice and trial by error. Personally, we feel that this cube will be more fun for children and adults that enjoy puzzles and don’t mind the complications behind a Rubik’s Cube. You must have patience when it comes to building and practicing. However, once you are finally able to solve it, you’re going to be pretty proud of yourself and the people around you are going to be impressed because it really takes a lot to solve one of these cubes. 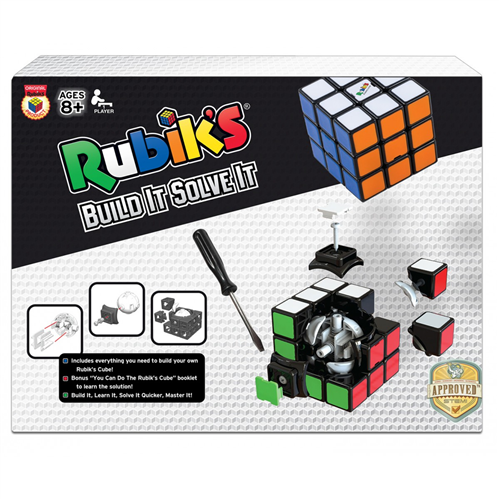 This Rubik’s Build It, Solve It kit is for one player – it is recommended for ages 8 and up. As we said before, it is great for children and adults that don’t mind trying to figure out how the cube works – it’s great for those that enjoy putting puzzles together. This kit right here is going to give an inside look on how the cube works and how it’s put together. Plus, you’ll receive some tips in the instruction manual on how to solve it. When it comes to building the Rubik’s Cube, it’s not as hard as it looks. In all actuality, it will take about fifteen minutes and the instructions are easy to follow. When it comes to placing the colored tiles, make sure you pay attention to where you’re supposed to place them, because if you snap them in the wrong place, you won’t be able to remove them. Yes, you will still be able to use the Rubik’s Cube, but you won’t be able to follow along with the instruction guide on solving the puzzle. The kit comes with the plastic pieces in order to make the Rubik’s Cube (this includes spare parts), metal springs, metal screws, a storage trap, spacer rings and an instruction sheet as well as a “You Can Do the Rubik’s Cube” booklet. Assembling the Cube is a great way to exercise those fine motor skills, spatial and visual perception and cognitive thinking in children. Once the cube is put together, it will challenge the little ones to use their visual and spatial perception as they learn to twist the tiles. The cube also helps children learn about colors and matching them. Can you improve your solving speed?